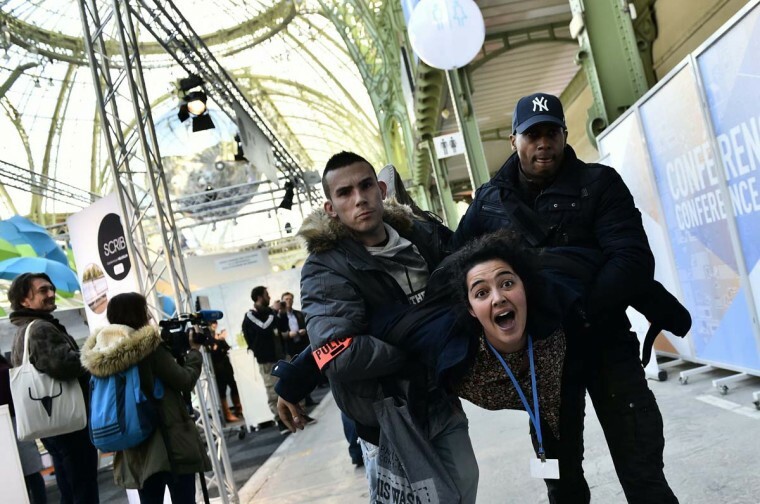 As Paris climate talks at COP21 near their midpoint, there’s no lack of spectacle. 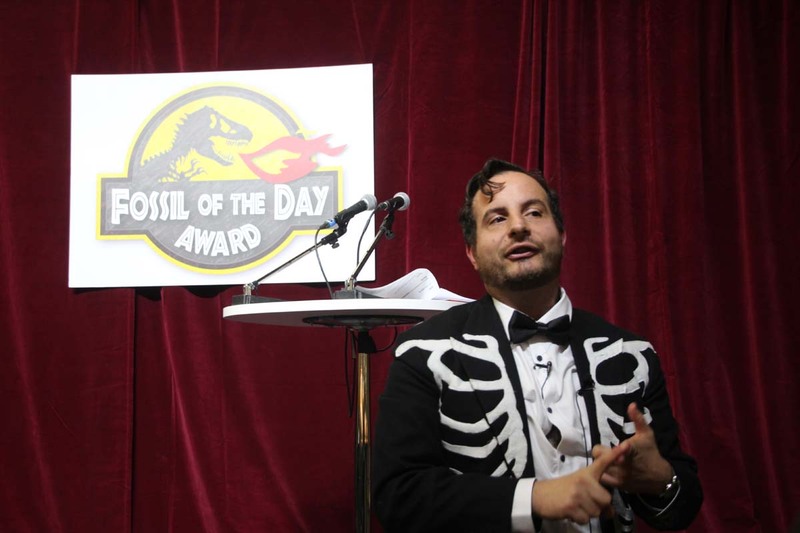 From a campaign of fake ads to a Jurassic Park spoof, groups with all sorts of stakes in the issues of emissions, warming and climate have found unique ways to speak out. The activists’ messages have been expressed even as the city has remained heavily locked down following November’s mass shootings. 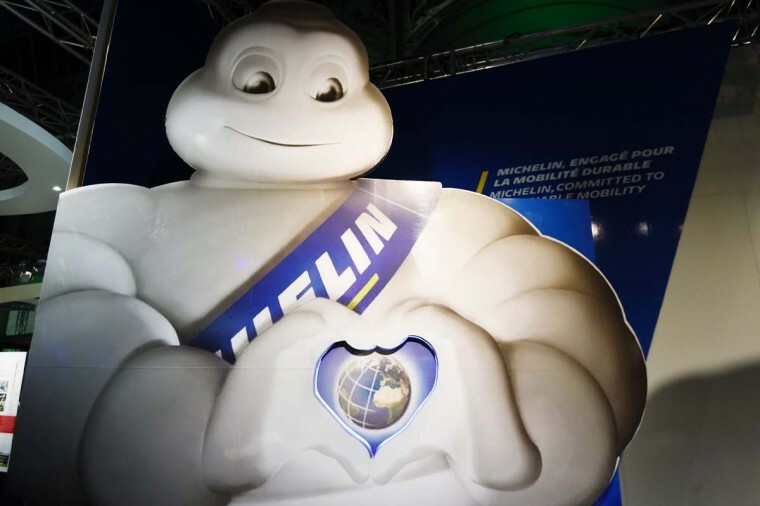 While there are signs that the city is attempting to return to normal — with at least one shooting site reopened for business as of Friday, according to multiple media sources — a heavily armored police presence continues in the city as the conference approaches week two. 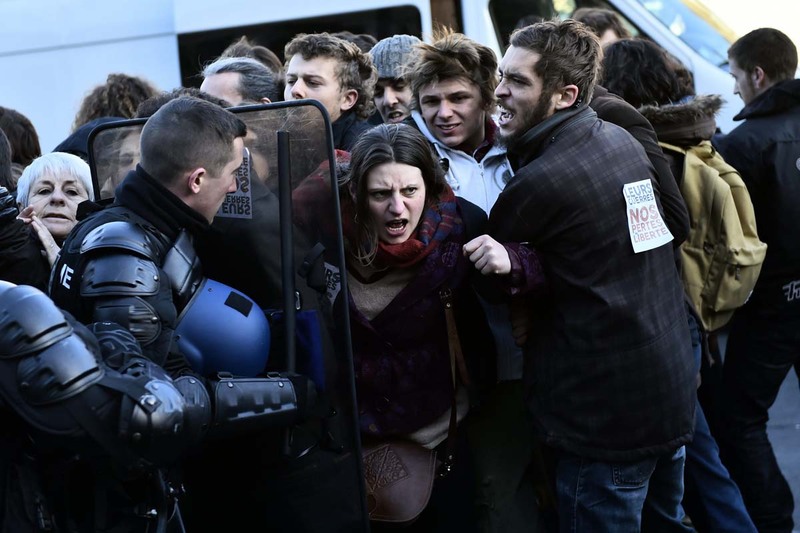 That lockdown, combined with existing tensions and an outright ban on demonstrations in many areas had led to the mass-arrest of hundreds earlier this week. 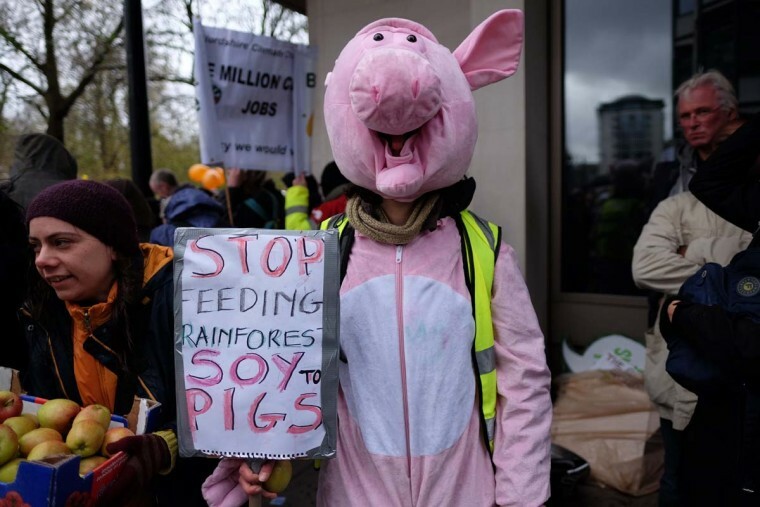 Nonetheless, many protest groups either ignored the ban or found creative ways around it during week one of the conference, with activists using remote-site protests, absurdist techniques or artwork to get their points across. Leaders and climate negotiators from 196 countries meeting at the U.N. talks Nov. 30-Dec. 11 will try to hash out the broadest, most lasting deal to date to slow global warming. 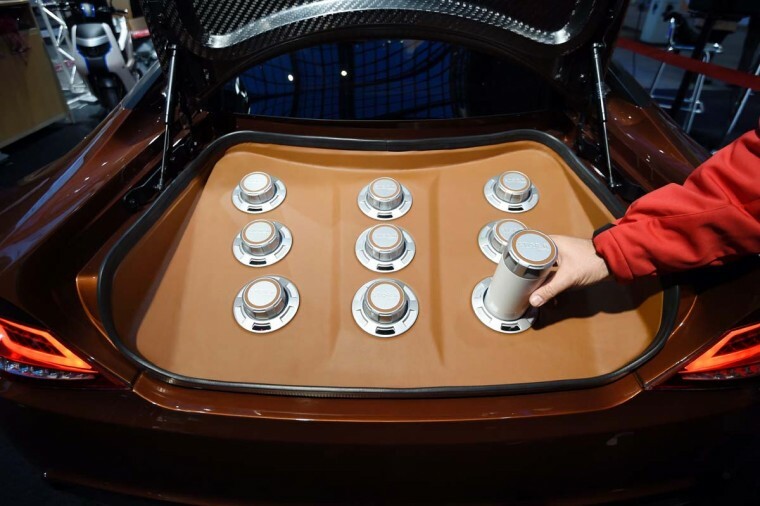 Here are several of the most striking images from the conference so far. 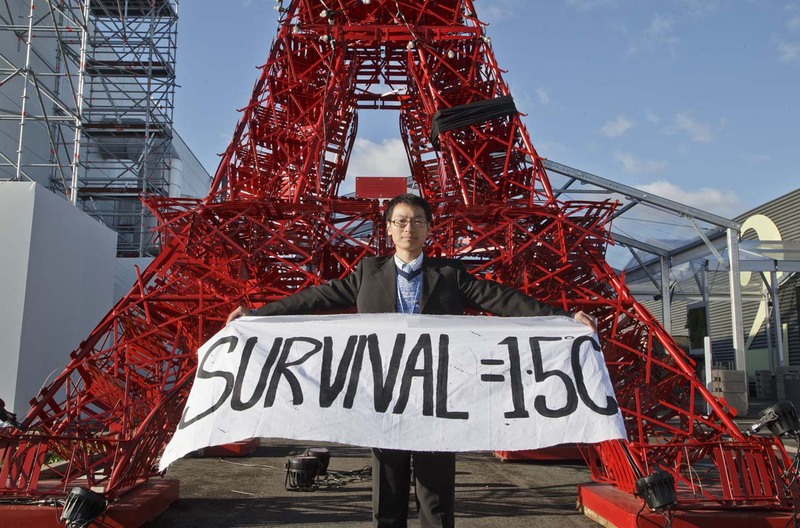 A representative of an NGO displays a banner in front of a reproduction of the Eiffel tower at the COP21, United Nations Climate Change Conference, in Le Bourget north of Paris, Friday, Dec. 4, 2015. 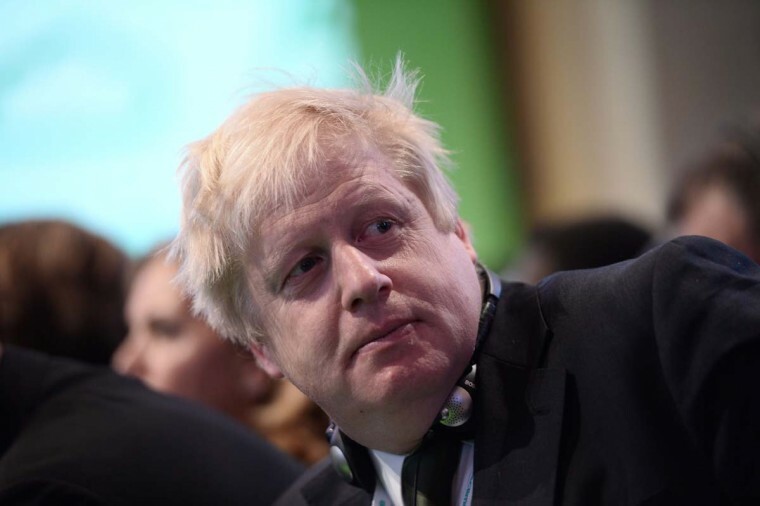 Many activists and negotiators from small island nations want a final climate accord to aim at a keeping global warming to 1.5 degrees worldwide by 2100, instead of 2 degrees. Some protesters in Paris were silenced by a demonstration ban this week, though others found creative measures around the edict. 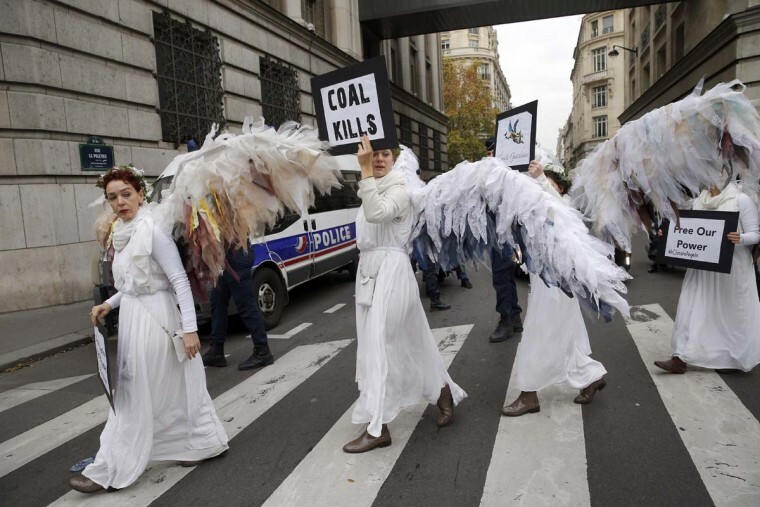 Activists of “Climacts Angels Guardians” from Australia arrive for a demonstration in Paris, Thursday, Dec. 3, 2015 . The protest is one of several activist actions linked to the COP21, the United Nations Climate Change Conference. Many protesters in Paris were silenced by a demonstration ban this week, though some found creative measures around the edict. 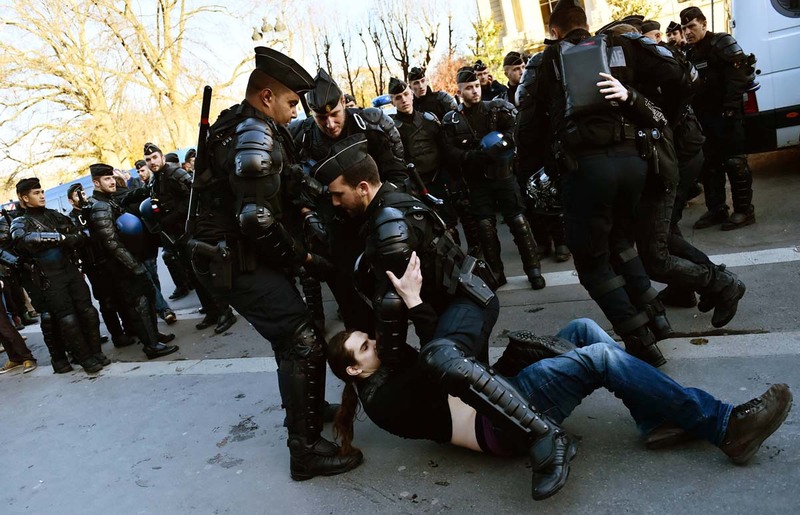 French police officers detain a man outside the “Solutions COP21” exhibition at the Grand Palais in Paris during a demonstration on December 4, 2015 on the sidelines of the COP21 United Nations conference on climate change. Many protesters in Paris were silenced by a demonstration ban this week, though some found creative measures around the edict. 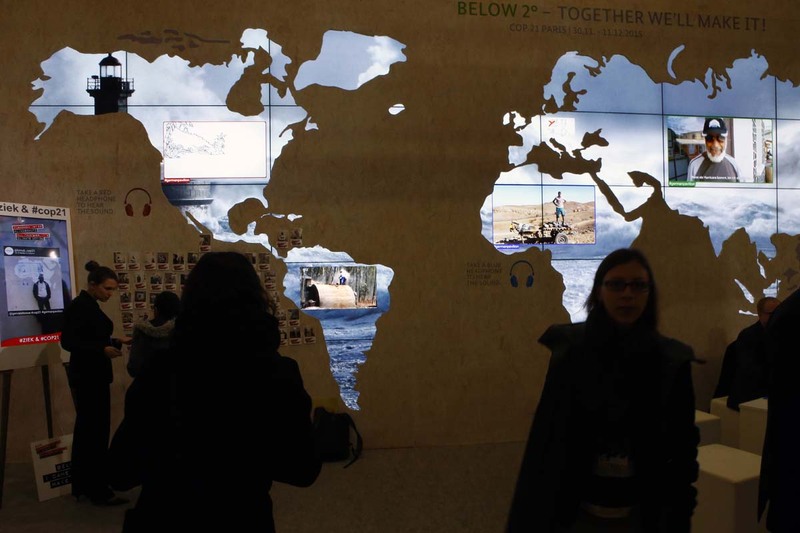 People pass a world map at The German pavillon entitled “Below 2 degrees, Together we’ll make it” during the COP21, United Nations Climate Change Conference, in Le Bourget, north of Paris, Thursday, Dec. 3, 2015. Many protesters in Paris were silenced by a demonstration ban this week, though some found creative measures around the edict. Tesla Motors Inc. CEO Elon Musk drinks water during a conference at the Paris Pantheon Sorbonne University as part of the COP21, United Nations Climate Change Conference, in Paris, Wednesday, Dec. 2, 2015. Many protesters in Paris were silenced by a demonstration ban this week, though some found creative measures around the edict. 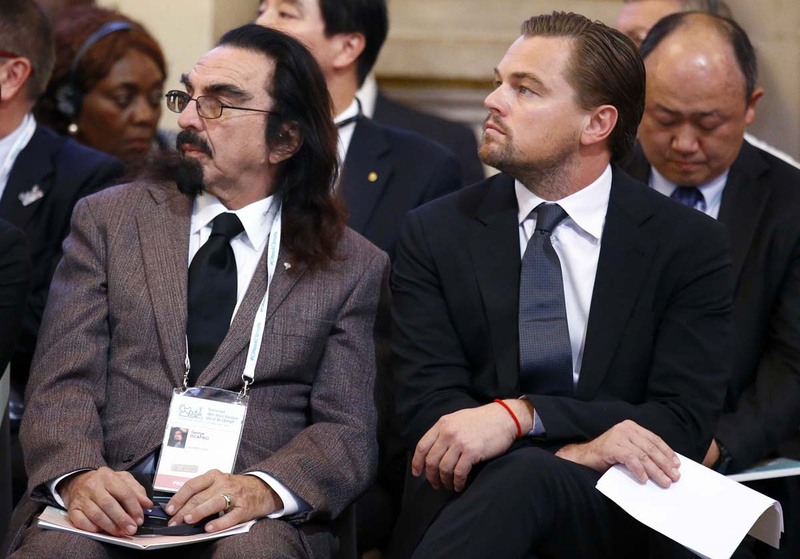 Leonardo DiCaprio, right, and his brother George Di Caprio, left listen to speeches during a meeting with Mayors to push for local actions to fight climate change at Paris city Hall on the margins of the COP21, as part of the COP21, United Nations Climate Change Conference, in Paris, Friday, Dec. 4, 2015. Many protesters in Paris were silenced by a demonstration ban this week, though some found creative measures around the edict. 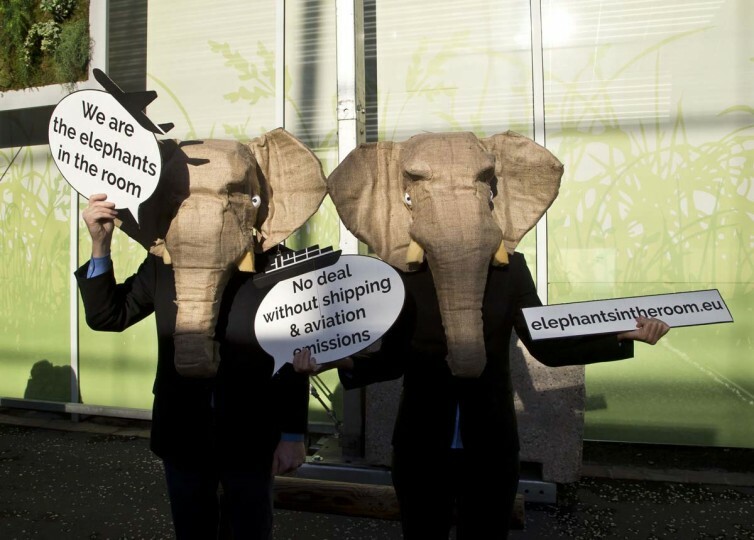 Representatives of NGOs wear elephant masks and hold banners at the COP21, United Nations Climate Change Conference, in Le Bourget, north of Paris, Friday, Dec. 4, 2015. The activists want negotiations over aviation and shipping emissions included in the final accord. 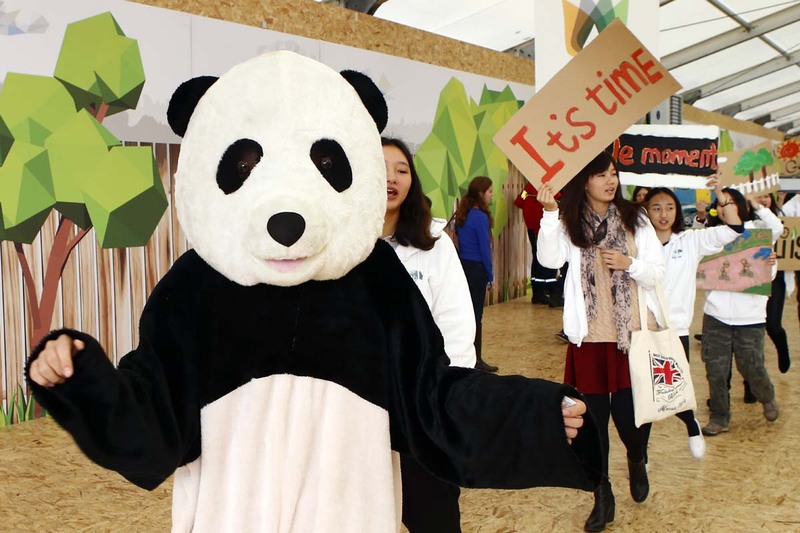 Youths of China Youth Climate Action Network participate to a demonstration march at the Climate Generations Areas as part of the COP21, United Nations Climate Change Conference, in Paris, Thursday, Dec. 3, 2015. 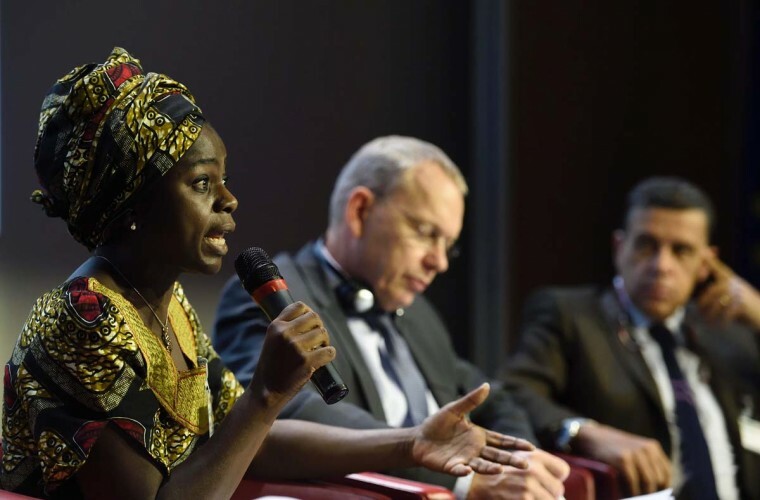 World Farmers Organisation President Evelyn Nguleka (L to R), COPA President Danish Martin Merrild and French Agriculture Council President Xavier Beulin attend an Agriculture and Climate Conference on December 4, 2015 in Paris. USOC Chairman Thomas Bach signs a white wall during a summit on climate with local elected leaders on December 4, 2015 at the Paris town hall, as part of the World Climate Change Conference 2015 (COP21), at Le Bourget on the outskirts of the French capital Paris. Mayor of London Boris Johnson attends a speech on December 4, 2015 at the Paris town hall during a summit on climate with local elected officials. A photo taken on December 3, 2015 shows the preparations for the “Solutions COP21” exhibition at Grand Palais in Paris as part the COP 21, the United Nations conference on climate change. 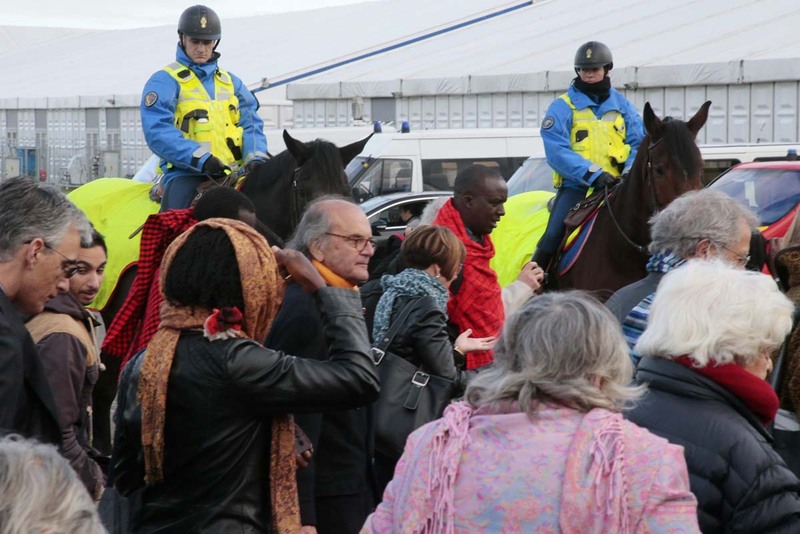 More than 150 world leaders are meeting under heightened security, for the 21st Session of the Conference of the Parties to the United Nations Framework Convention on Climate Change COP21/CMP11) from November 30 to December 11. 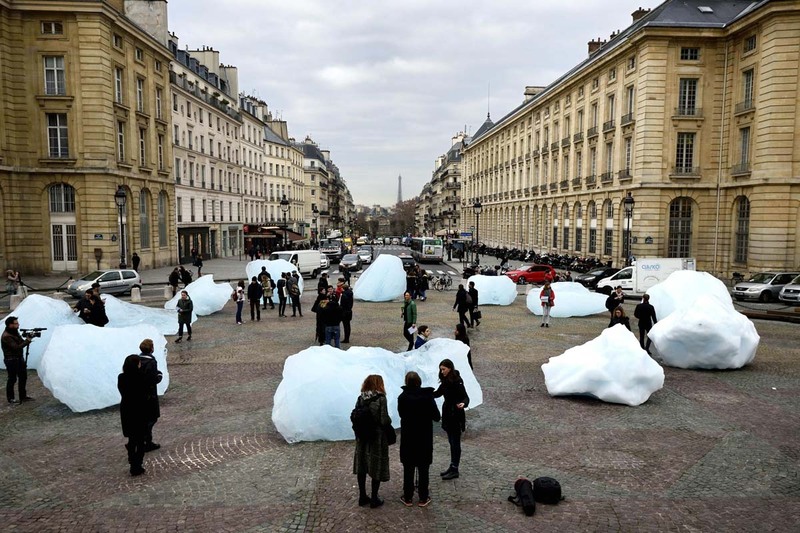 People look at an art installation by a Danish-Icelandic artist entitled “Ice Watch”, made with parts of Greenland’s ice cap, on display in front of the Pantheon in Paris on December 3, 2015. The installation by Olafur Eliasson is part of a project presented during the World Climate Change Conference 2015 (COP21), the United Nations conference on climate change taking place at le Bourget, on the outskirts of Paris, from November 30 to December 11. 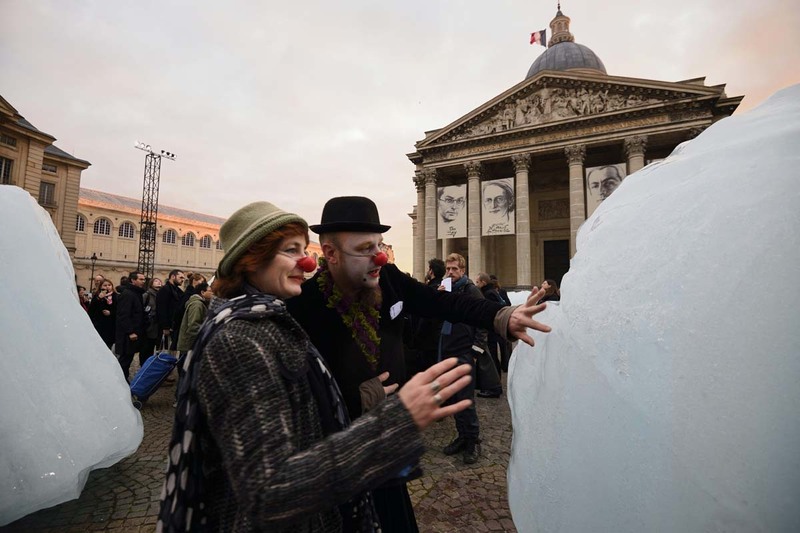 Two people wearing red clown noses look at an art installation by a Danish-Icelandic artist entitled “Ice Watch”, made with parts of Greenland’s ice cap, on display in front of the Pantheon in Paris on December 3, 2015. 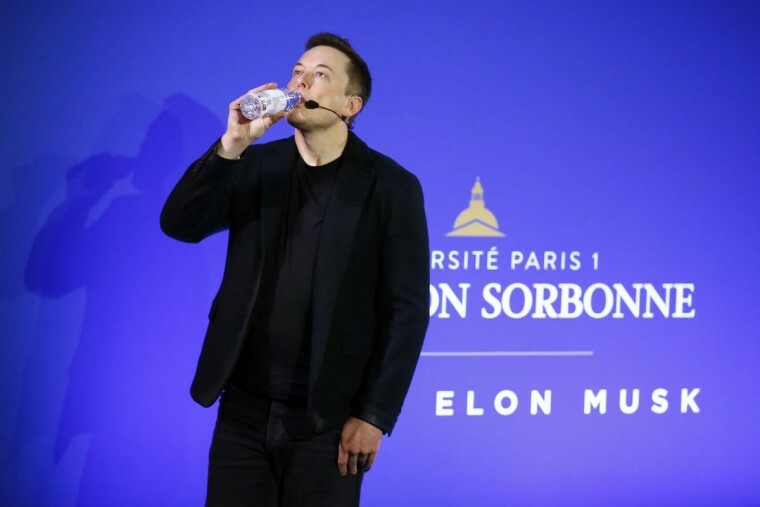 The installation by Olafur Eliasson is part of a project presented during the World Climate Change Conference 2015 (COP21), the United Nations conference on climate change taking place at le Bourget, on the outskirts of Paris, from November 30 to December 11. 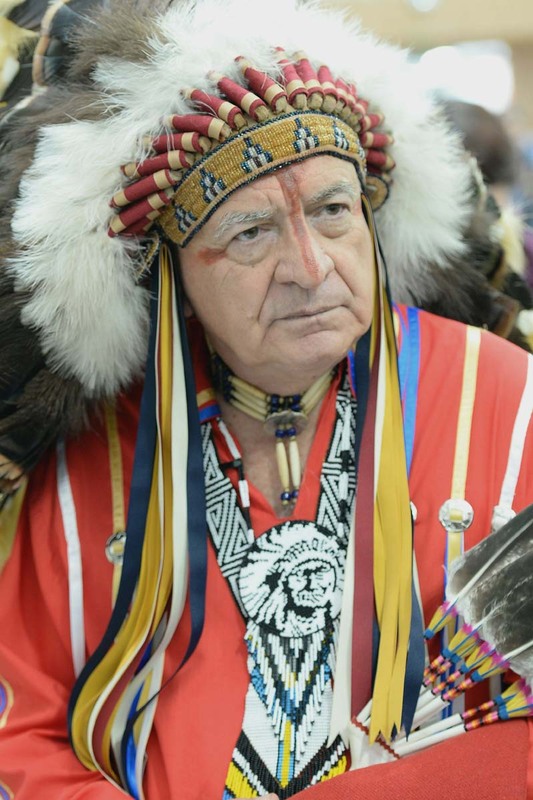 Chief Phil Lane Jr from the Dakota and Chickasa Nations looks on at the COP21 climate summit’s venue at Le Bourget, northeast of Paris on December 2, 2015. 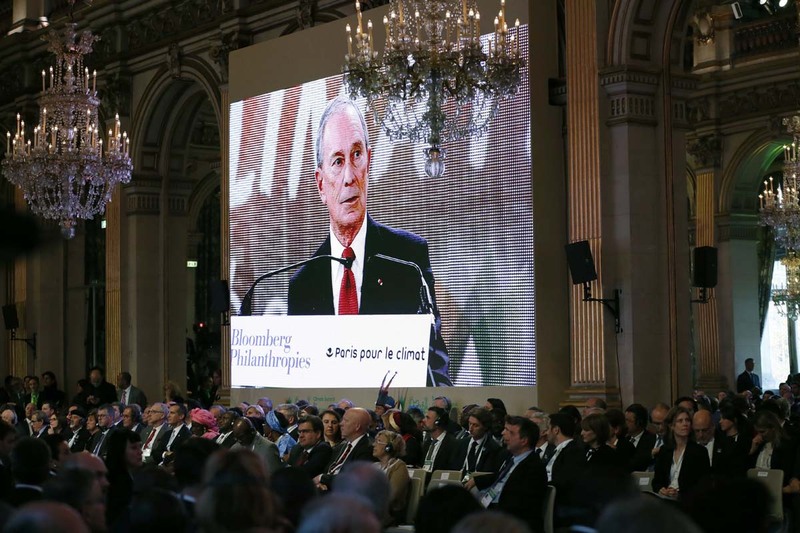 More than 150 world leaders are meeting under heightened security, for the 21st Session of the Conference of the Parties to the United Nations Framework Convention on Climate Change (COP21/CMP11), also known as Paris 2015 from November 30 to December 11. 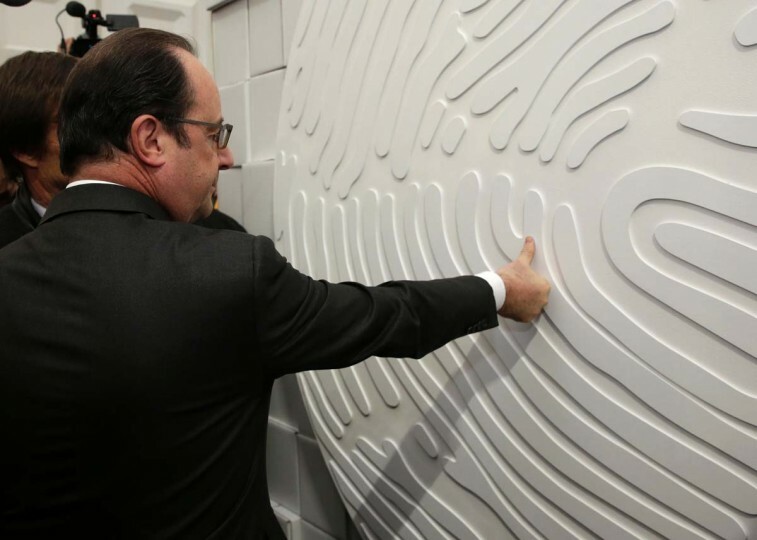 French President Francois Hollande puts his thumbprint on a wall at the Nicolas Hulot Foundation stand in the Climate Generations area, as part of the World Climate Change Conference 2015 (COP21), at Le Bourget on the outskirts of the French capital Paris. A picture taken on November 30, 2015 shows images of more than 500 people being projected onto the facade of the French National Assembly building during the 2015 UN Climate Change Conference (COP21) in Paris. 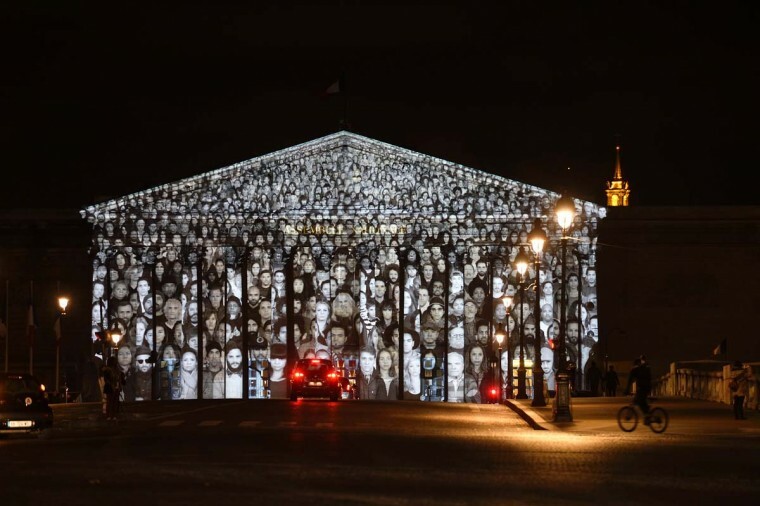 The Standing March is the collaborative work by the French artist known as JR and US filmmaker Darren Aronofsky. Many protesters in Paris were largely silenced by a demonstration ban this week, though some found creative measures around the edict. 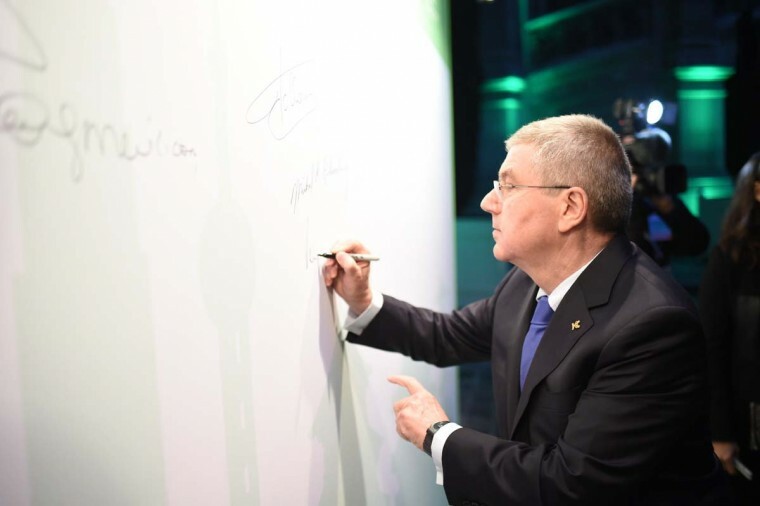 Protesters in Paris were largely silenced by a demonstration ban, though some found creative measures around the edict. 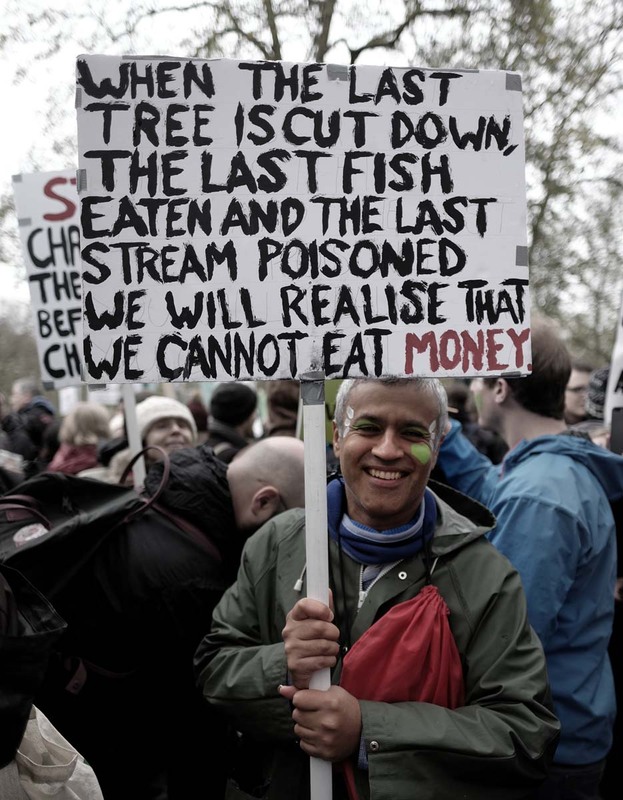 According to Alisdare Hickson, who shot the image, he was participating in the climate change march in London on 29 November which was held as part of a series of rallies worldwide prior to the COP21 Paris climate change talks. Activists want decisive action to limit the rise in average global temperature to 2 degrees celcius above pre-industrial levels. 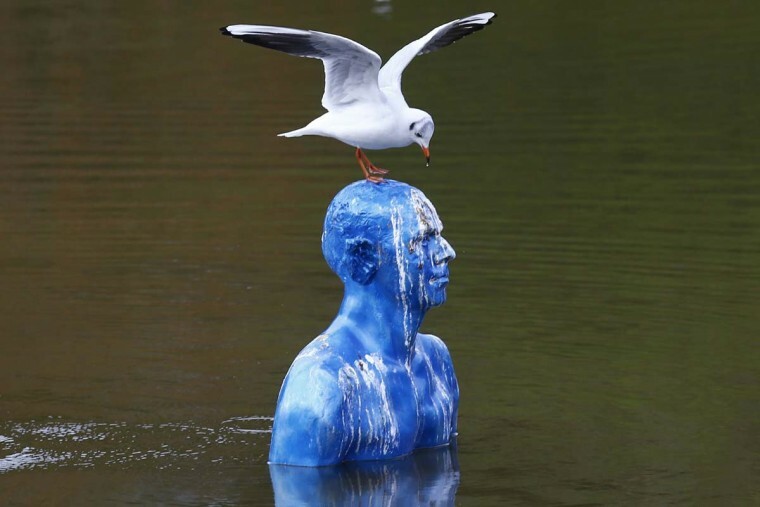 A seagull stands on the art-work “Where the Tides Ebb and Flow” by Argentinian artist Pedro Marzorati installed in a pond at the Montsouris park during the COP21, United Nations Climate Change Conference, in Paris, Wednesday, Dec. 2, 2015. Many protesters in Paris were largely silenced by a demonstration ban this week, though some found creative measures around the edict.